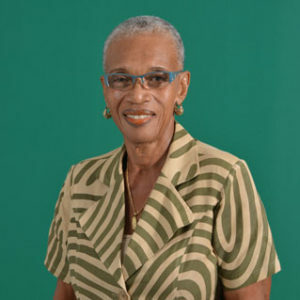 Patsy Oneta Crichlow is a trustee on the board of Legacy Foundation, and an active member of the Barbados Public Workers Cooperative Credit Union Limited’s Representative Association since its inception. She is a nurse by profession but is currently retired. Her professional qualifications are State Registered General and Mental Nurse. She was instrumental with setting up the first program for the Drug Rehabilitation Unit of the Psychiatric Hospital Barbados and served as its coordinator and drug therapist. To adequately prepare herself for these positions, she attended several training programs locally and internationally on alcohol and other drugs related problems. Now retired, she spends most of her time enjoying her hobbies of cooking, gardening, traveling, attending church and participating in credit union related activities.